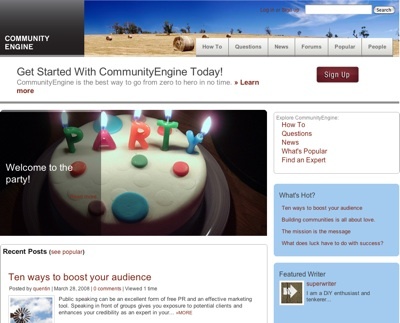 The CommunityEngine plugin has been in use for several years on www.curbly.com and www.uncooped.com, serving several hundred thousand visitors monthly. CE has a strong developer community and is backed with financial support by Curbly, LLC. Digg this page , bookmark it on Del.icio.us, or Tweet It! CommunityEngine is created by Bruno Bornsztein, a Ruby on Rails developer and entrepreneur based in St. Paul, Minnesota. 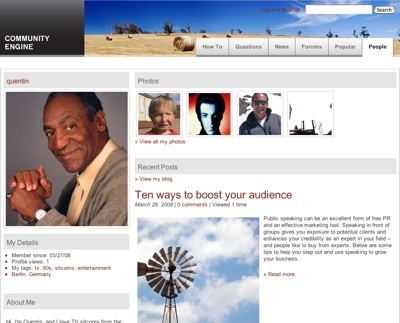 In 2006, he founded Curbly, LLC, whose publications currently include several community sites . Profile on Working With Rails - recommend me! The CommunityEngine plugin is released under the MIT License. Read it here.